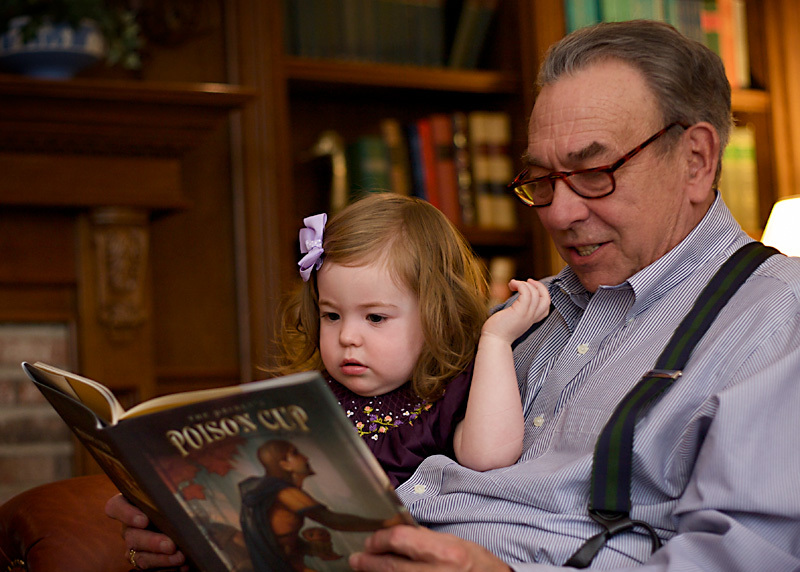 For those who don’t know, “Ella Ruth” is the name of the main character in Dr. Sproul’s newest children’s book, The Prince’s Poison Cup. She’s also his first great-granddaughter to whom the book is dedicated. This tender photo was taken last weekend.